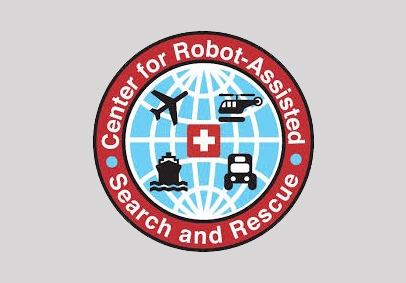 Experts in unmanned aerial and marine systems from the Texas A&M’s Center for Robot-Assisted Search and Rescue (CRASAR) have been assisting Fort Bend County Office of Emergency Management with Hurricane Harvey. Volunteer teams from the center’s Roboticists Without Borders program arrived on Friday and began immediately using small drones to support rapidly mapping areas at risk and estimating flooding, while another team employed a miniature robot boat with sonar to project river flow rates. As Harvey hit, the drone teams shifted to surveying tornado damage and identifying neighbors cut off and in need of help. The boat, which is covered with enough floatation to support people and can pull a line to trapped people, has stayed on call for swift water rescue. CRASAR lead pilot, Justin Adams, is serving as Air Operations branch director, coordinating all air operations for manned and unmanned aircraft within the county. The drone teams are drawn from researchers and students at the Texas A&M Engineering Experiment Station plus Adams and Jess Gingrich (USAA). The teams use three different inexpensive DJI platforms. The EMILY robot boats and experts are provided by Hydronalix, an Arizona company who has been active with CRASAR in humanitarian rescue of boat refugees in Greece, and lead by Capt. John Sims. A drone team from the Florida State University Center for Disaster Risk Policy will join the effort later in the week. This is the fifth hurricane response that CRASAR has participated in. Under the direction of Dr. Robin Murphy, a professor of computer science and engineering at Texas A&M, CRASAR was the first group to fly small drones for a disaster, which was at Hurricane Katrina in 2005. The center has been working with Fort Bend County OEM for two years, learning from the county’s diverse emergency professionals on best practices for applying economical unmanned systems to save lives and accelerate economic recovery after a major meteorological event. Videos from the unmanned system teams will be available through the Fort Bend County Office of Emergency Management YouTube channel.